This Arab vlogger, despite being settled in the beliefs and privileges of his country and his social status, had the heart to support better laws for Filipino domestic workers in Kuwait. 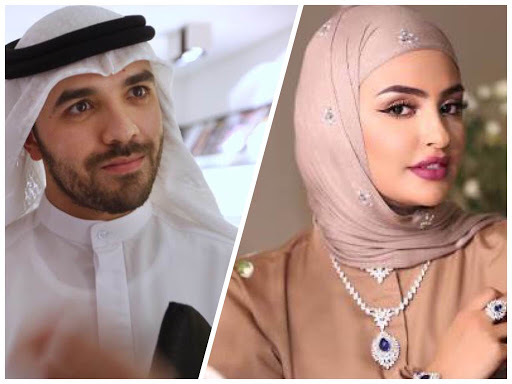 Khalid Al Ameri retorted his own countrywoman, an Arab social media celebrity named Sondos Al Qattan , on grounds of giving protecting the rights of domestic workers in Kuwait. In his video, Ameri reiterated the complaints made by the Arab celebrity which were pertaining to the new labor laws in their country that protected domestic helpers. The Arab social media celebrity complained about giving domestic workers one day off in the week and allowing domestic workers to keep their passports. The female celebrity reasoned that Filipino domestic helpers should always be working and giving them their passport might give them a chance to run away. Ameri succinctly slammed these contentions one by one, starting with giving domestic helpers a day off. “Almost every job in the world…have a day off, a day of rest, a day to go out, a day to enjoy life,” Ameri said in a video he posted. “I mean we are not robots at the end of the day, we’re all humans and we expect time to rest and time for ourselves,” he added. Ameri heartily regarded the need for domestic helpers to have a day off like any other worker so that they may rest, recover, and ready themselves for another working week. The other contention about the passports prompted Ameri to say that the mere fact that that social media celebrity said it already dissuades people from working for her. The female Arab celebrity reasoned that giving domestic workers their passport will allow them to run away, but Ameri argued that anyone would want to run away from a person who thinks like that. “There’s a reason they keep running away from you, and maybe you are that reason,” Ameri said. As much as the female Arab star said that she does not want to hire Filipino domestic workers, Ameri retorted that no one would want to work in her household if that is her belief. “I believe we’re all human beings on this planet that all want the same things in life, to be happy, to grow old with people that we love, to take care of our family, and to just be at peace,” Ameri said towards the end of his video. He spoke in behalf of Kuwait and his family to express his gratitude for all domestic workers. “On behalf of my country, on behalf of my family, I want to thank every single domestic worker in this part of the world for helping us and for being part of our family,” he added.